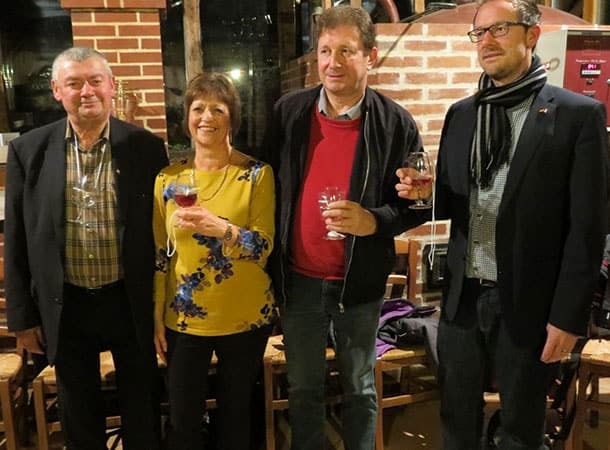 The Fordingbridge Twinning Association has just returned from Vimoutiers, where it visited the annual Apple Festival , always held during the third weekend in October. 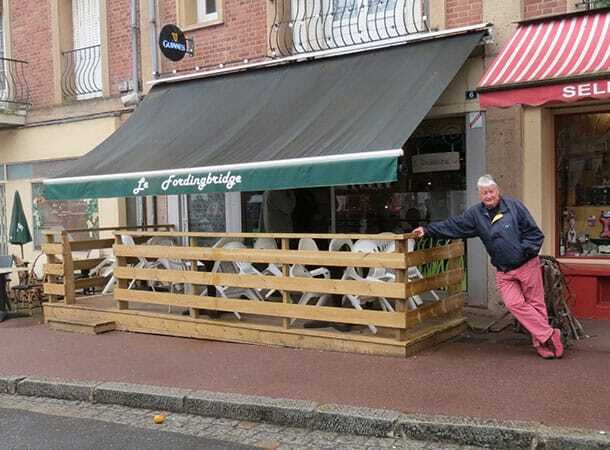 The weekend commenced with presentations from the four mayors, Chatelet in Belgium, Sontra in Germany, Vimoutiers in Normandy and, since the Fordingbridge Mayor wasn’t present owing to his recent operation, Alison Ayling, Chairman of Fordingbridge Twinning, presented (in fluent French) for him. 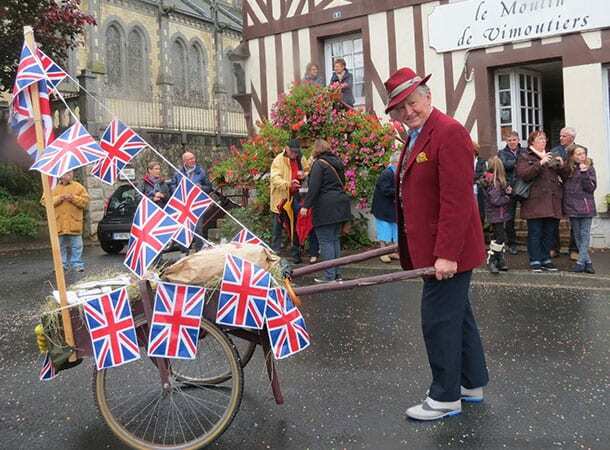 On the Sunday, a lengthy procession took place (unfortunately in the rain) with many floats from each of the four twinned towns. There was a barrow carrying local produce from this area, including Fordingbridge Fudge, Ringwood Beers, some local wines, New Forest Charcoal, and items like Crab Apple Jelly and Fordingbridge Honey.